Sofala Province, Mozambique – For years, Rosa Sozinho and her six children were unaware of the impact of their poor sanitation habits. People in their community of Macurungo didn’t know the dangers of unsafe water, sanitation and hygiene (WASH), particularly for women and children. In fact, every day around the world, about 1,000 children under five die from diarrheal diseases due to such conditions. New mothers face unique and life-threatening risks, as well: an estimated 10-15% of maternal deaths in health facilities are caused by infections linked to unhygienic conditions during labor and poor hygienic practices during the six-week postpartum period. Recognizing the problem was the first step toward a cleaner, healthier future for Sozinho’s community. When MCSP-trained community health workers (CHWs) facilitated a community discussion on the problems caused by poor WASH practices, Sozinho and her neighbors saw the benefits of creating a proper landfill site and clean play spaces for children, and using tippy taps to wash their hands before eating and after using latrines. Focus particular attention on the treatment of water prior to drinking. 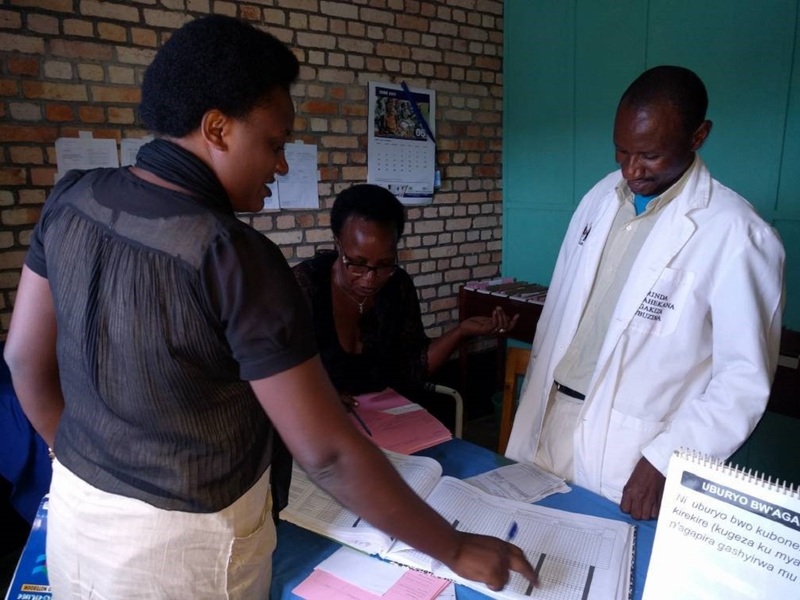 To improve birth outcomes, MCSP also encouraged pregnant women in the community to develop a birth plan that includes a hygiene kit for both themselves and their newborns for use during the postpartum period. Now, a year after the action plan was implemented, Sozinho has taken a central role in promoting clean community practices and using WASH approaches within her own household. Her own “ah ha!” moment occurred during a local health promotion workshop conducted by MCSP-trained CHWs where she learned proper handwashing and human waste disposal practices – and left inspired to take action. In Mozambique, CHWs are educating communities like Sozinho’s about safe water treatment, filtering and storage techniques, and how to properly clean household surfaces. Community leaders help to mobilize people to join “cleaning events,” where they listen and actively participate. 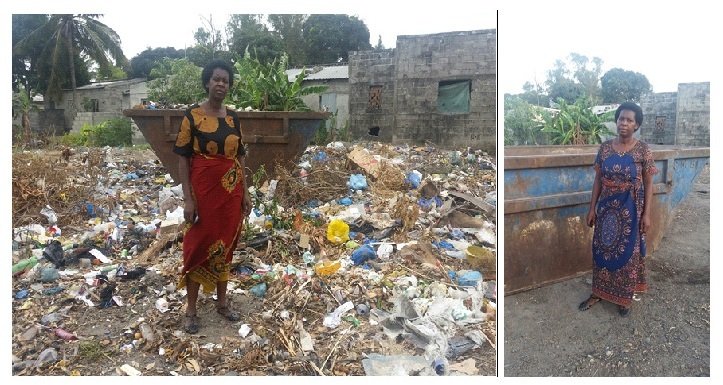 During these dedicated cleaning days, communities address issues in their action plans – such as collecting trash, digging pits to be used as landfills, building latrines, and creating clean spaces for children to play. MCSP then works with the CHWs to conduct home visits to ensure the changes agreed to by the community are being implemented. In Mozambique, MCSP is focused on four nutrition-sensitive household WASH behaviors: treating drinking water; safe disposal of human feces; handwashing at critical times; and separating animals from children’s living and playing environments. During the last calendar year, MCSP helped to train more than 2,800 CHWs and carry out more than 3,400 cleaning events in Sofala Province alone. More than 175 MCSP-trained CHWs are doing this work in Sozinho’s community (Macurungo), with similar work being done by Program staff in Nampula Province. By the end of February, nearly 3,000 families in Macurungo were registered as implementing best WASH practices. MCSP supports countries to make WASH a normative part of both household and facility-based maternal, newborn and child health. At all levels of care, we work to prepare for a clean and healthy birthing and newborn experience, reduce infections to mothers and newborns during the peri- and postnatal periods, limit health care associated infections contracted during the process of care, and reduce stunting and diarrheal disease in children. By including community members in identifying problems and adapting solutions, we ensure local needs are represented as we help build self-sufficiency and strengthen community water management. To learn more about MCSP’s work in WASH, click here. To access resources and information specific to improving WASH in health care facilities, visit MCSP’s WASH microsite.